This is a lovely curvy design and is quite unusual. 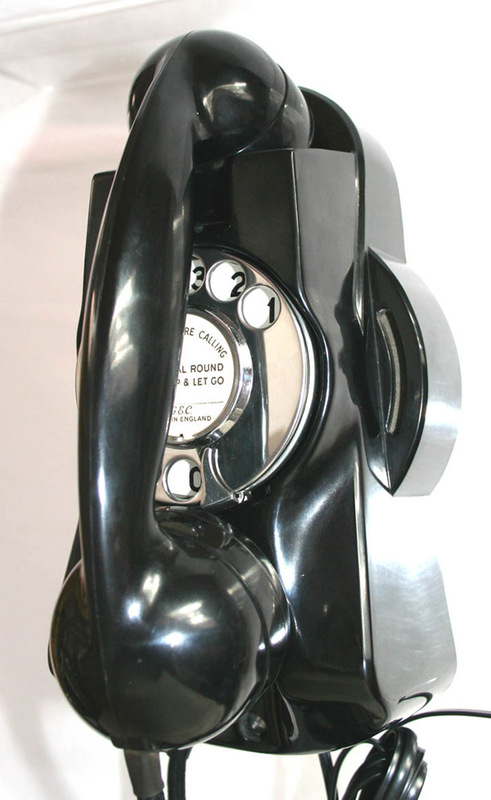 This is a nice unusual wall telephone made by GEC and known as the Muraphone. 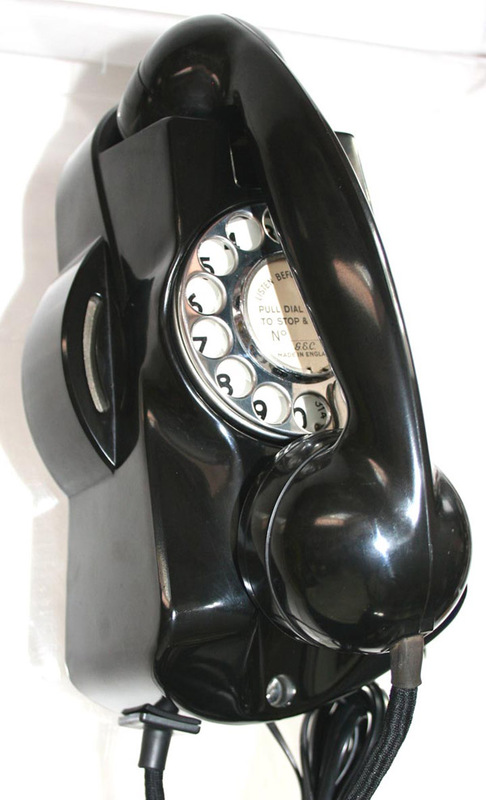 It has a lovely design and this model was often used on board ships. It has a beautiful ring and is in perfect condition. 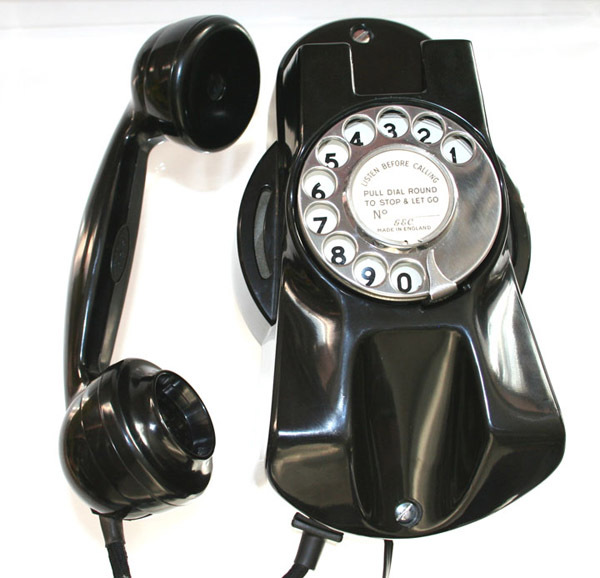 It has its original handset cord and dial label and I doubt it has ever been used. This is fully tested and will work to dial out and recieve perfectly.